Just when I thought my little lace obsession was over, it wasn’t. I still had 1 precious skein of CashSilk Lace in the stash from Christmas and Emily’s Photosynthesis pattern calling my name! I also feel that I have found the perfect recipe for the shawl size I desire and the ‘laciness’ I am looking for. 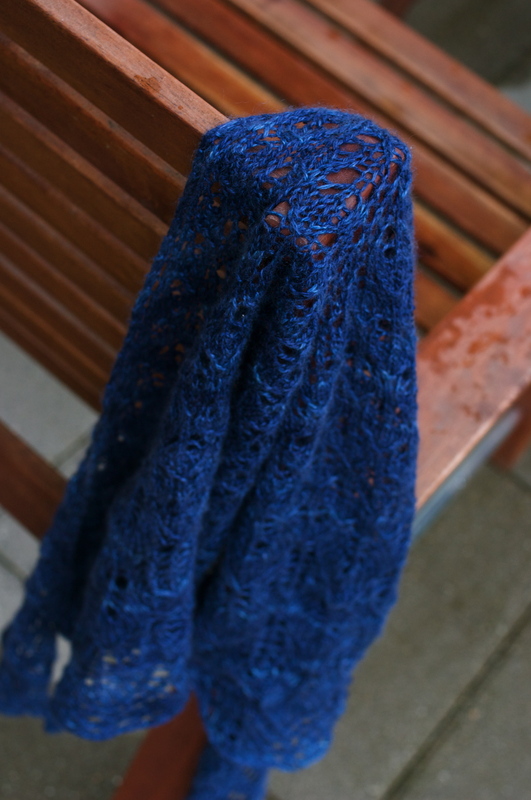 400 yards of laceweight yarn and 4mm needles = the perfect scarf sized shawl for Alexa. It’s Goldilocks territory. The laciness factor is hard to describe. It has to do with the amount of space between the stitches. 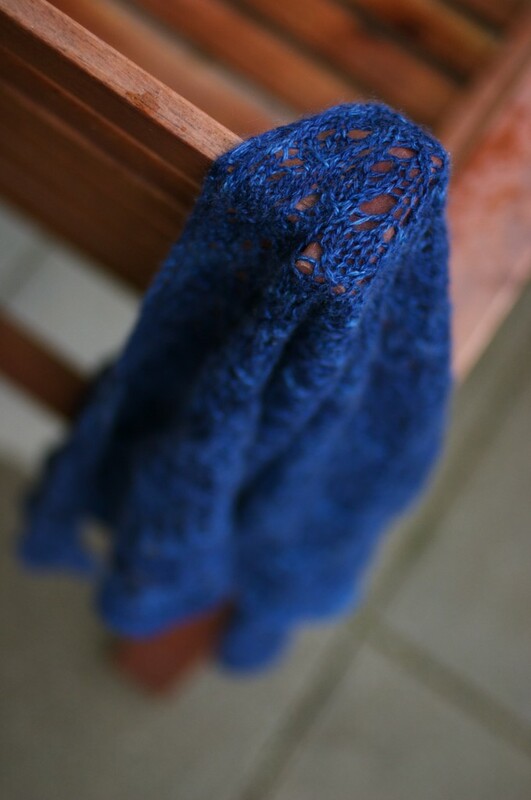 I knit one shawl on 4.5mm needles and while it is a bit bigger than the others it is a smidge too open for my liking. 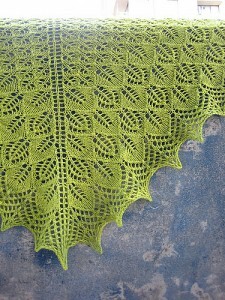 I knit Emily’s Sunflower shawl on 3.75mm needles and the Brandywine Shawl on 3.5mm needles. 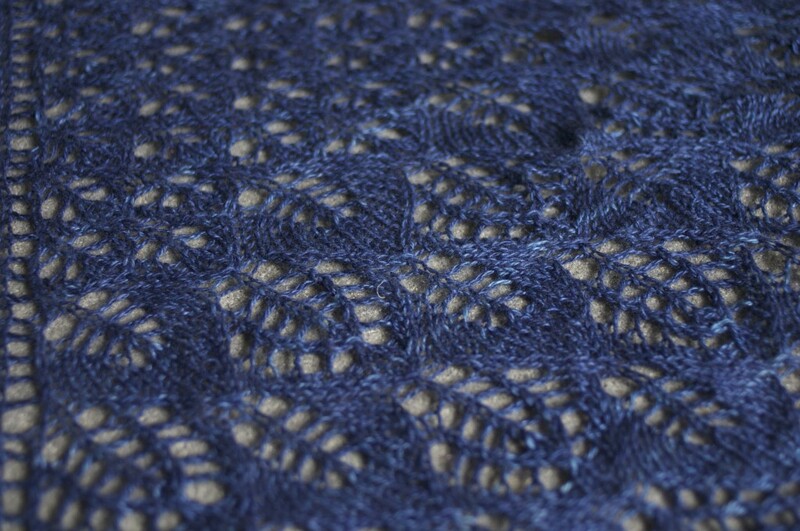 It’s not that the shawl’s didn’t turn out on these needles, they just might have been better on 4mm. The needle size conundrum is somewhat unique to lacework. It’s another one of those purely preference things that drive newer knitters up the wall. ‘What needle size should I use for this?’ a newer knitter will ask. ‘Any needle in this range, depending on what you want it to look like’ the ever helpful UY gals will answer! The pattern usually has a recommendation on it, but with lace you really don’t have to follow that recommendation at all. I would say knit yourself up a swatch but I know almost no one will do that, especially when it comes to lacework. So, if you are kicking off some lacework of your own just try out a few different needle sizes until you find the one that works for you.